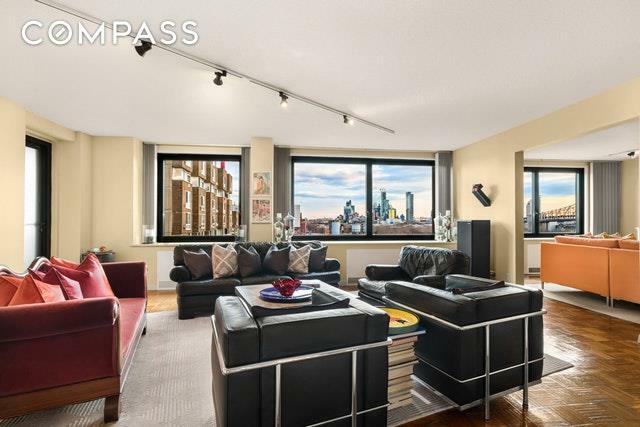 Magnificent three-bedroom home in mint, move-in condition with a spectacular, East view of the river and the magical 59th Street Bridge. This home has a gracious entry foyer and generously-sized rooms. The spacious living room -- it measures 22' 6" by 22' 3" feet -- has picture windows facing east with a jaw-dropping river view.The dining area leads to a pristine kitchen with maximum storage space. The bedrooms are all spacious with plenty of roomy closets. The balcony is the largest in the building facing east to the river and measures 13'4" X 8' . Maintenance including all utilities, free electricity and use of all the amenities for free.The building is filled with wonderful amenities such as a large 60' by 30' indoor pool with saunas and roof deck. The health club, filled with well-maintained and state-of-the-art equipment, takes up two floors of the building. 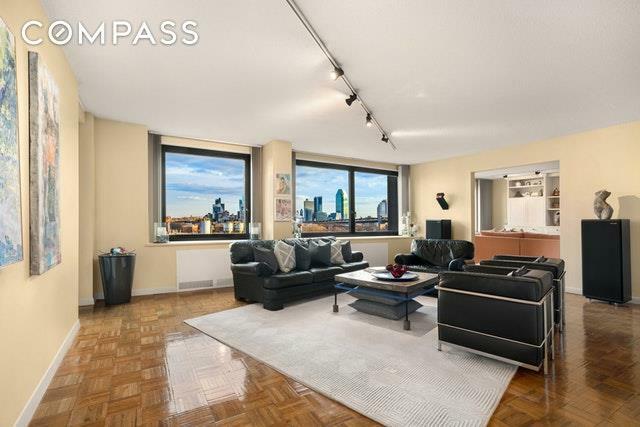 There are 2 Laundry rooms, a playroom, a meeting room and bike storage.Roosevelt Island is a tranquil respite from the city yet it is only 5 minutes away by the tram and the F train. 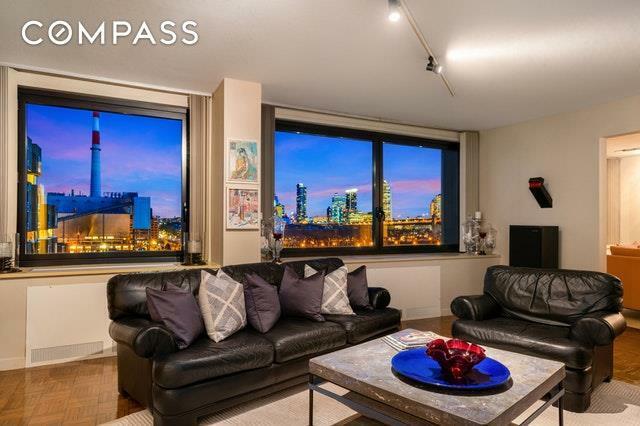 There is also a ferry and the free red bus that takes you around Roosevelt Island itself.Parking is available at a nearby garage.Welcome to your new home! 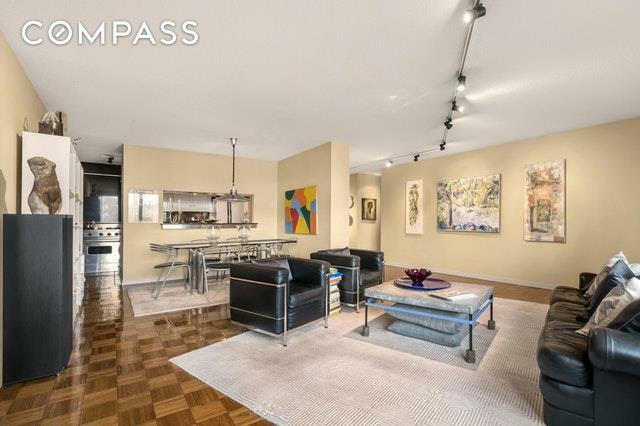 Listing courtesy of Oren Liberman of Compass.